I am using iPad 2 and is working fine but unfortunately i deleted a huge song file.It was the result of my efforts of many days so i don't want to loose it like that.Is there any way to recover those deleted files? If yes then provide the methods as soon as possible as it is difficult for me to wait for a better answer for long time..
How to recover deleted keynote presentation on iPad 3? Re: How to Recover Deleted files in iPad 2? Select the option labelled 'Restore system settings and previous versions of files'. Use the slider that appears in the bottom portion of the dialog box to choose how much disk space should be set aside for previous versions of files and system backups. Click the 'OK' button once you've finished. There is no undelet transhcan function on iPad 2 and you can't restore the functions and files unless you ever sync iPad files using iTunes. Then probably you can restore that undeleted data with certain software t extract iTunes backup. There will be some restore options on your iPad. You are provided some apps. You can have back up facility of your files by having available on your icloud. For this purpose use a software called "i-Pad recovery" it will solve your problem in few minutes.....................!!!!!!!!!!!!!! There are different types of apps are available in the APP STORE regarding the data recovery in ipad. But the best one which I recommend you to use is "iPAD DATA RECOVERY". This app allows you to recover all the deleted files from your ipad. 1)Launch the DATA RECOVERY app. 3)Now tap on the type of data you want to recover like photos, videos etc..
Where is this? I can't find it! Help me, please! I have an ipad 2 and about 3,000 photos to recover. first you have to put the data recovery tool in your ipad.with that recovery tool you can get back all the lost data.photos ,songs,videos,important notes,etc.,.,.,.and it very easy to recover the data lost by following the below steps. 1)on ipad recovery data tool select frsh recovery option. 2)you will have a list of media or sections that the ipad data recovery tool can be get back.you can choose one that represents your situation. 3)the next screen will give you four options to choose from if the data deleted from the trash folder then choose deleted files recovery/formated media/lost recovery. 4)this step will you drive volume where you would like to restore your flie.choose the one that you want. 5)now recovery tool will scans the ipad storage space for all deleted and displays it on the screen. choose one that you want to recover . in this way you can get back your lost memory in ipad. Select the option labelled Restore system settings and previous versions of files as you can also have back up facility of your files by having available on your icloud. tap on refresh recovery option. tap on data type which you want. then drive volumn from data store. You can restore deleted files from back up. Before you getting files from back up you have to scan back up files. You can get file recovery software from apple store, it will be very useful to recover deleted files. For recovering the deleted it not possible. This is possible only when backup the files befroe you deleting the file. So,if backup the file previously then you can recover the deleted file by using the icloud. Data deletion from iPadYou have deleted a file from your device. The device doesn't keep back ups in ipad. This is where the importance of iTunes syncing comes. Most of us doesn't like to do syncing our iPad with iTunes in our computer. But in this type of situations, it really helps. Try to look in your iTunes application. If you have a previous sync data, then you are lucky. You can connect your device to the computer and transfer back the files. If you doesn't have a previous sync, then you can't do anything with default possibilities. If you doesn't have a recent back up sync in your iTunes, then relying on third party application is the only remaining option. Applications like Ipad Data Recovery are available in the store. But we can't guarantee the result. Not all files can be regenerated. Some are possible only to recreate partially. What you can do is to just give a try with this application. To Select the option labelled 'Restore system settings and previous versions of files'. Use the slider that appears in the bottom portion of the dialog box to choose how much disk space should be set aside for previous versions of files and system backups. Click the 'OK' button once you've finished. - - > That’s it. Download and install the data recovery app. Open the data recovery app. Select the files to recover. You just follow the below procedure ..
1. 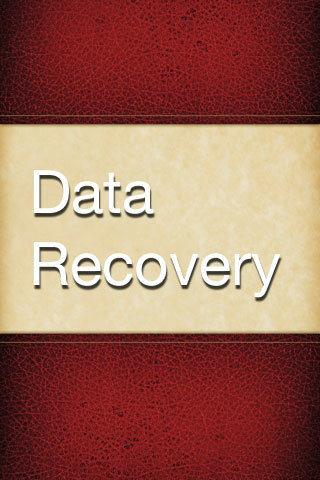 Launch the DATA RECOVERY app. 3. Now tap on the type of data you want to recover like photos, videos etc..
===There will be some restore options on your iPad. ===You are provided some apps. ===You can have back up facility of your files by having available on your icloud. If you deleted iPad files or any other data accidentally, then you are advised to opt either backup if exist or a Data Recovery Software in this regard. This software works efficiently for different versions of iPad and that can perform iPhone Recovery, iPoud touch recovery and so on.. If you have back up the data of iPad via iTunes, you can recover the data from iTunes. 1) Hold your iPad and click "Start" button. 2) Pressing "Power" and "Home" buttons simultaneously for 10 seconds. 3) After 10 seconds, release "Power" button, but keep holding "Home" for another 10 seconds. you can recover all the data of your iPad, look at the following tips carefully. After installing and launching the program on your Mac, you'll get the interface below. Choose the device icon for yours to move on. In this step, there are two options for you to find your previous data on your iPad: Recover from iTunes Backup File and Recover from iOS Device. Let's take the former as a try. If you've ever synced more than one iOS device with iTunes on your Mac, like iPhone, iPad or iPod touch, there will be several backup files. Choose the one for your iPad and click "Start Scan" to extract it. Now all previous contents in the iTunes backup are scanned out and displayed as original. You can preview and check to recover your deleted iPad notes, photos, videos, contacts or calendar, and so forth. Then hit "Recover" and save them. If you deleted the any file unfortunately it is possible to recover back the file again using the restore method. For restoring you should follow the below instructions. 2. Allow the computer to synchronize. 3. Press the "Summary" tab under iTunes. 4. And again click the "Restore" button to restore the lost data. You can try out Myjad iTunes Data Extractor to restore iPad data from iTunes. this will restore your deleted data.